I don’t know how many times I have heard groundbreaking, or game-changing in the hearing aid tech world. In fact, we hear those expressions so much we just tend to nod. In fairness though, much of the innovation within the space is life changing. 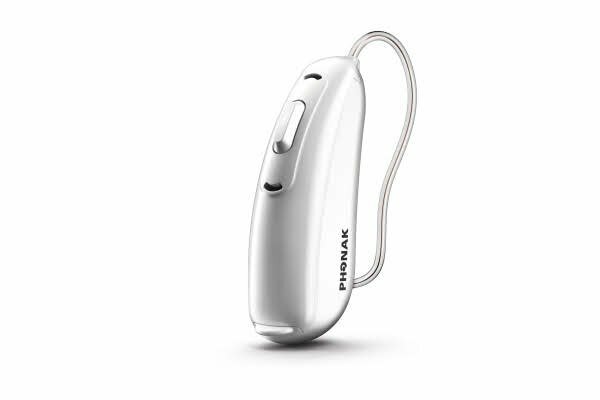 Phonak today have delivered true game-changing technology for people with hearing loss. A technological innovation that means hearing aid users, no matter what brand of mobile phone they use, will be able to enjoy the simple pleasure of mobile phone calls with ease and simplicity. 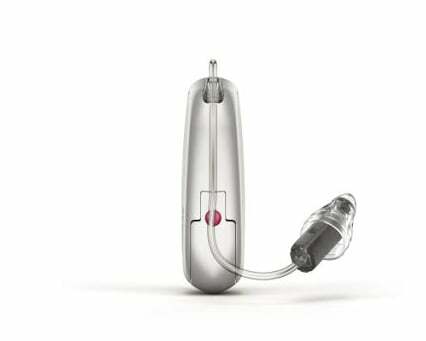 Phonak have just introduced a device called the Audeo B-Direct. It is a revolutionary hearing aid that changes wireless connection to a mobile phone forever. 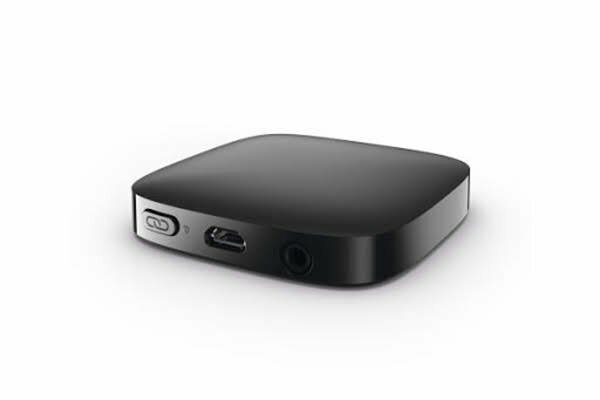 The Audeo B-Direct connects to any Bluetooth® enabled mobile phone, directly without a streamer. Even better, it offers true hands-free calling. As it supports the classic Bluetooth protocol, it provides direct connectivity to cell phones – including AndroidTM, iPhone® and even classic cell phones – with no extra body-worn streaming device required. This is their first ever Bluetooth hearing aid, something that they had been under pressure from their shareholders to deliver. The hearing aids offer real hands-free voice calling. The wearer can answer or reject a phone call by simply pressing the push button on their hearing aid. The ringing of the phone is heard through the hearing aids and once the call is accepted, the conversation is instantly streamed. You don’t even need to pick up your phone. Your voice is picked up by the hearing aid’s intelligent microphone network and transmitted to the other caller similar to a wireless headset. At this time, while phone calls will be streamed, music or other audio like Audio Books cannot be. I don't think this is a deal breaker, considering the telephone functionality that is delivered. I mean answering a call with a touch of your hearing aids? That is truly amazing stuff, no need to pick up the phone to talk either. Those are big selling points for many. They have dealt with audio streaming from other sources though, so enjoying music or the TV is catered for. Android is the predominant player in the smartphone market with an estimated four out of every five smartphones being Android. The Audéo B-Direct will now bring direct streaming to this neglected market while also providing compatibility with Apple’s iPhone. More than that though, the new solution allows users who own a classic cell phone to avail of direct streaming as well. The new device will be available in three levels of technology, the 90, the 70 and the 50, so no entry level device this time around. Although that was to be expected based on the introduction of the rechargeable devices. There is a new app to go with the devices for smartphones; the app offers the typical features you would expect. Volume adjustment, programme changes, you can also rename the programmes to make them easier to remember. The app will show a list of the available audio sources and allow the user to control the balance of audio when streaming. What really excites me is that the device is not just Made For iPhone, not just Made For Android; it is simply made for any phone. Astonishingly as it may seem to many of us. Not everyone has a smartphone. There are people out there who just want a mobile phone that allows them to call people, shocking isn’t it? The Audeo B-Direct and the onboard Bluetooth technology will finally solve the irritation that is streamers. It will deliver complete freedom for hearing aid users to finally speak on mobile phones just like everyone else. The hearing aids are expected to be available in late August or early September and the official UK launch date is the 8th of September.